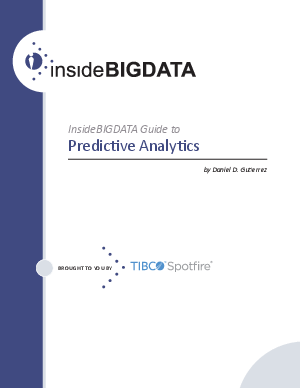 Predictive analytics, sometimes called advanced analytics, is a term used to describe a range of analytical and statistical techniques to predict future actions or behaviors. In business, predictive analytics are used to make proactive decisions and determine actions, by using statistical models to discover patterns in historical and transactional data to uncover likely risks and opportunities. Predictive analytics incorporates a range of activities which we will explore in this paper, including data access, exploratory data analysis and visualization, developing assumptions and data models, applying predictive models, then estimating and/or predicting future outcomes. Download now to read on.